Thirteen years ago we embarked on a sixteen hour voyage, and a new life. We boarded a ferry from the port of Ooarai with hopes and dreams. Amongst our belongings was a van filled with some of our essentials, of which included a sofa bed, a chest drawer of clothes, ski gear and an excessive amount of kimonos, collected over the years by my wife. We had decided to start a ski guiding business in one of the snowiest regions of the world, Japan’s Northern island of Hokkaido. Living in Tokyo I had skied Niigata, Nagano and Gunma prefectures. 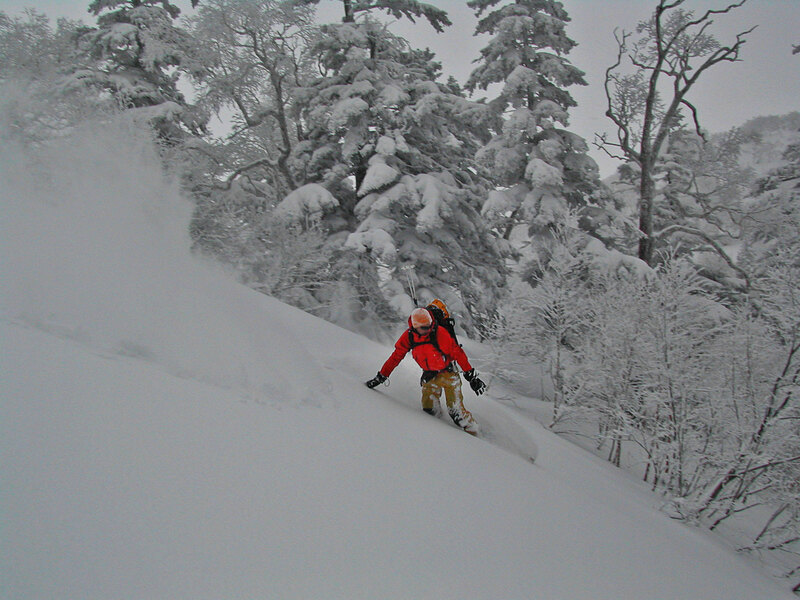 I had lived in Tohoku and had skied the lesser known northern areas of the main island of Honshu, including Aomori. 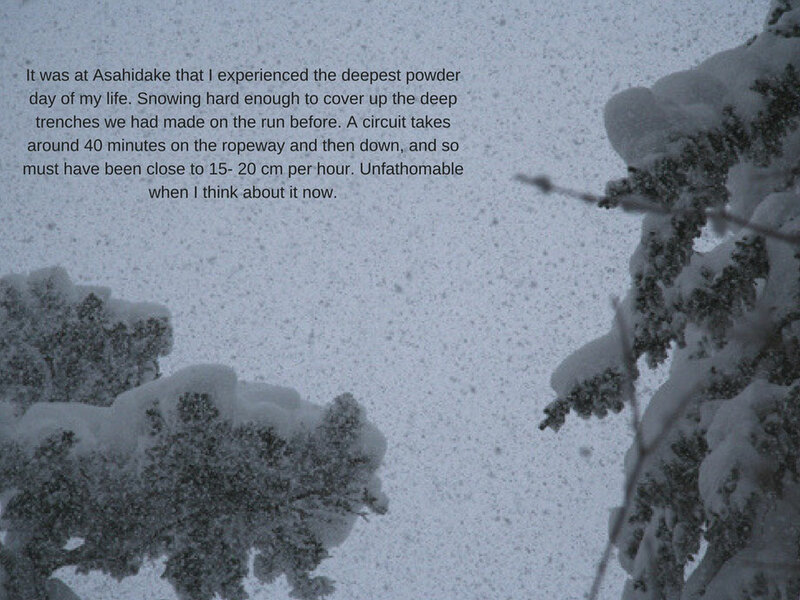 But with all the experience over four years of skiing in Japan, everything seemed to point to Hokkaido. 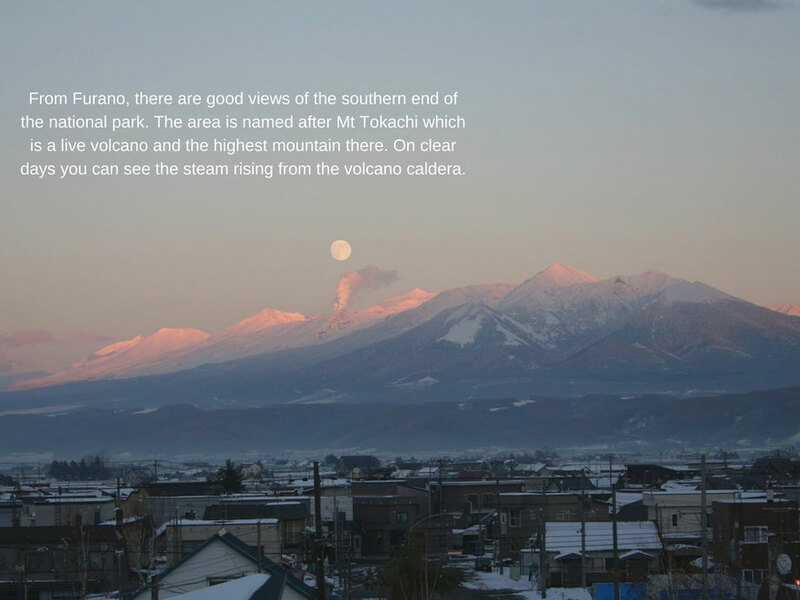 Hokkaido is the last frontier of Japan. 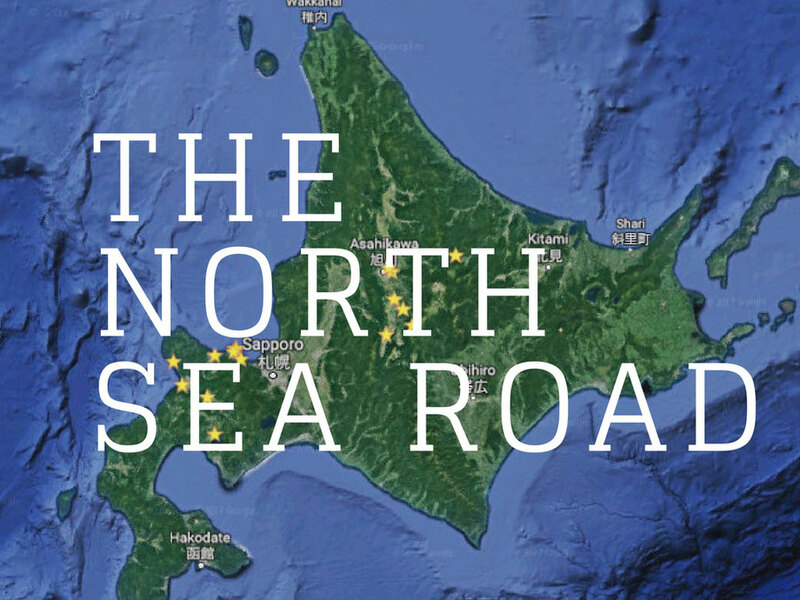 Known for most of it history as Ezo, it wasn’t until 1869 that the then Meiji government christened the island ‘Hokkaido’ meaning the ‘North Sea Road.’ This was made as a buffer against the Russians who had been encroaching on Japanese territory. It was an island occupied by the Ainu, the indigenous people of Japan who had escaped the repression of the Japanese in the south. Much of the place names on the island derive from the Ainu language. Of interest to me were the central mountains of Hokkaido, known to the Ainu as ‘Kamui Mintara,’ meaning the ‘Playground of the Gods.’ These 2,000 meter mountains are part of the Daisetsuzan, National Park. 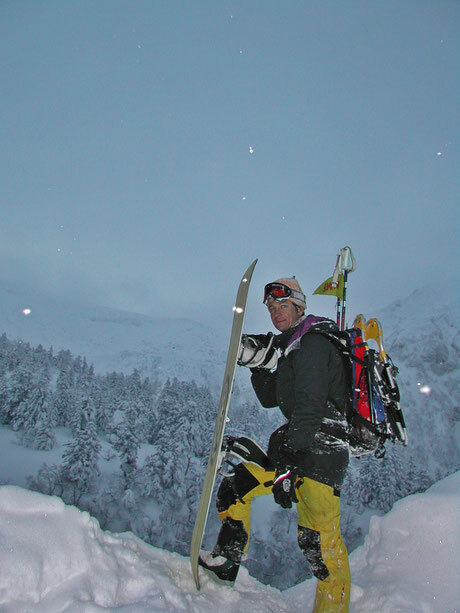 The first season was spent largely exploring this backcountry area. I had a keen partner employed by one of the hot spring hotels perched in the mountains. His job was to assist clearing the road up to the lodge which is at the highest road point on the island. It was a cushy job. While his colleagues manned the heavy machinery involved, he would sit in a warm vehicle at the bottom of the road with a good book and inform them of any vehicles coming up. The roads would be cleared early and by the time I had made my way across the valley, he was waiting with snowboard in hand and ready to go. Together we would search for the good lines through the old growth spruce, finishing the day in the local spring at the lodge. Back in those early days, Asahidake served as a good guiding option from Furano. It was the only lift served area this side of the park, and while small, received an incredible amount of snow. 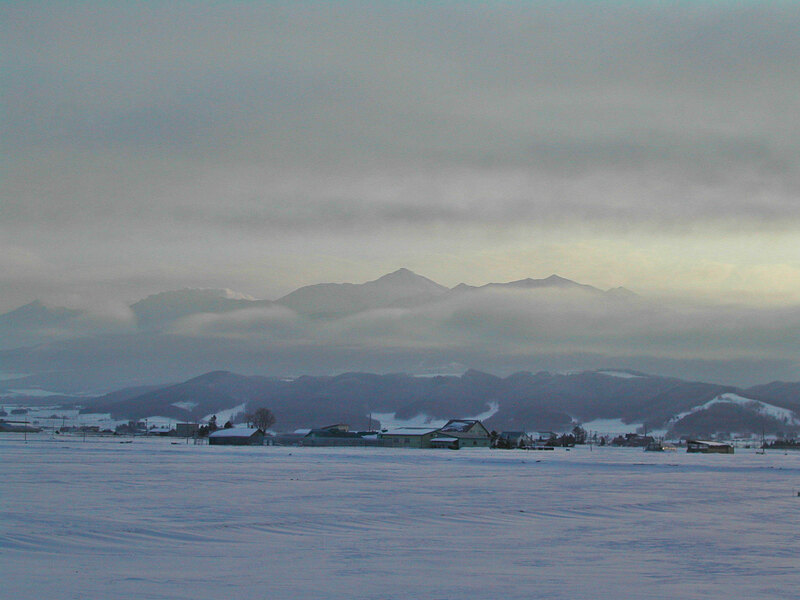 It gets more snow than anywhere in Central Hokkaido. It was over the head deep. The best advice I could give on that day, was “Spot your line,” for each turn would send up a wall of snow and skiing the trees became more consequential. The other was to ski with your mouth closed as you could almost choke on the fine powder. It was definitely a memorable day. 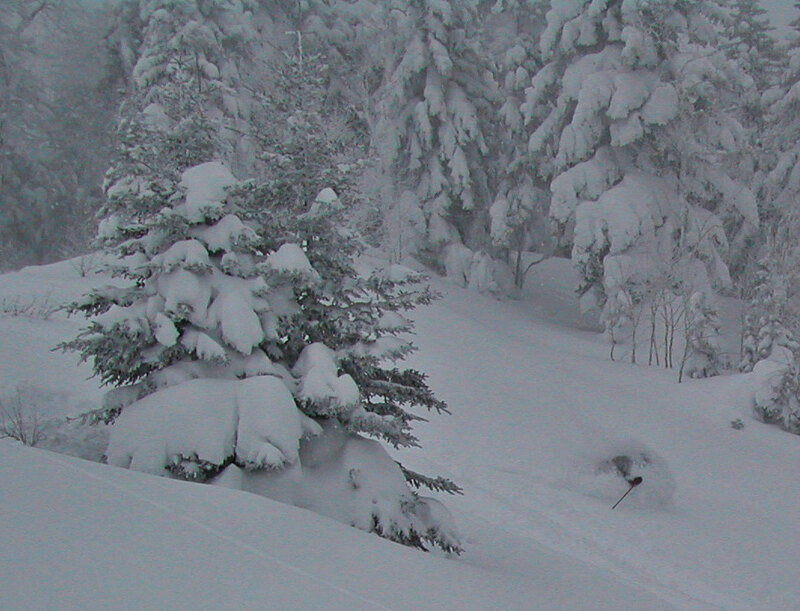 This coming season will be our thirteenth of operation and we are looking forward to many deep powder days ahead. Hope you can join us.